The clients were a man, his wife, and their two children ––all born in the Middle East. In 1987, they created a commercial enterprise in California and applied for the EB-5 Visa, but U.S. Immigration never granted them legal status based on their Green Card applications, creating a delay in immigration. Though the family came to America legally and the children were raised here, they could not prove their status to the USCIS. Without the travel card, they were restricted to what they could do, so the entire family was in limbo for 17 years. Or travel outside the U.S. These unfortunate circumstances resulting in them losing out on countless opportunities to work lawfully. The USCIS’s Attorney is the Department of Justice. The family tried to resolve their issues with other attorneys, but there was one approach they had not considered. Warren Law Firm suggested that they sue the Department of Justice for a Green Card. We had successfully sued them the past, so we filed the Writ of Mandamus to compel the U.S. Government to process their Green Card application because of the 17-year delay that greatly affected their lives. The sue Green Card process took about six months and was settled before Warren Law Firm went to court because the USCIS realized that they had created a wrongful situation. “Now the children have found new careers,” she added. “They’ve also pursued other opportunities and traveled freely knowing they could get back into the United States without any hassles. In addition, the adult children were able to qualify to apply for U.S. citizenship – but they couldn’t do that before because they were in bureaucratic limbo. Best of all, they didn’t have to wait the traditional five years between getting the Green Card and applying for U.S. citizenship because of the government’s 17-year delay immigration. By creatively petitioning for a Writ of Mandamus, Warren Law Firm was successful in getting U.S. Immigration to avoid any further problems. The client’s status was resolved by simply deploying a sue green card case. Created by Congress in 1990 to stimulate the U.S. economy through job creation and capital investment by foreign investors, the U.S. Citizenship & Immigra-tion Services (USCIS) administers the EB-5 program. 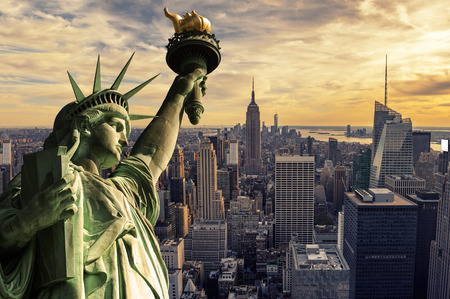 Through it, investors may legally qualify for EB-5 classification by investing through businesses or regional centers designated by USCIS based on proposals for promoting economic growth. On 9/8/2017, President Trump signed Public Law 115-56 to extend the Regional Center Program through 12/8/17. The minimum qualifying investment for a EB-5 Visa in the United States is $1,000,000.